My neighborhood has a sizable population from Central America, particularly Colombia, which is why we have cholados in the summer. 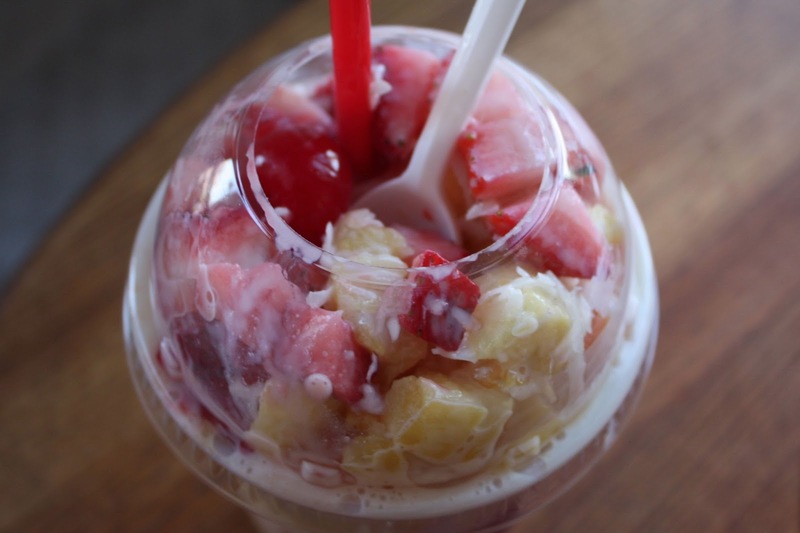 Cholado is a cup of crushed ice, layered with fresh diced mixed fruits such as banana and pineapple, smothered in saucy fruit juices, all drenched in sweetened condensed milk and shredded coconut. It comes with both a slurpee straw (the kind with a shovel cut-out on the end) and a long dessert spoon. I got this one in my neighborhood, Sunnyside, in Queens at a little Colombian juice shop/restaurant on Greenpoint Avenue (between 44th and 45th Streets). It doesn't really have a name. It has a green awning that says, "comida colombiana coffee and sandwiches." That's it. 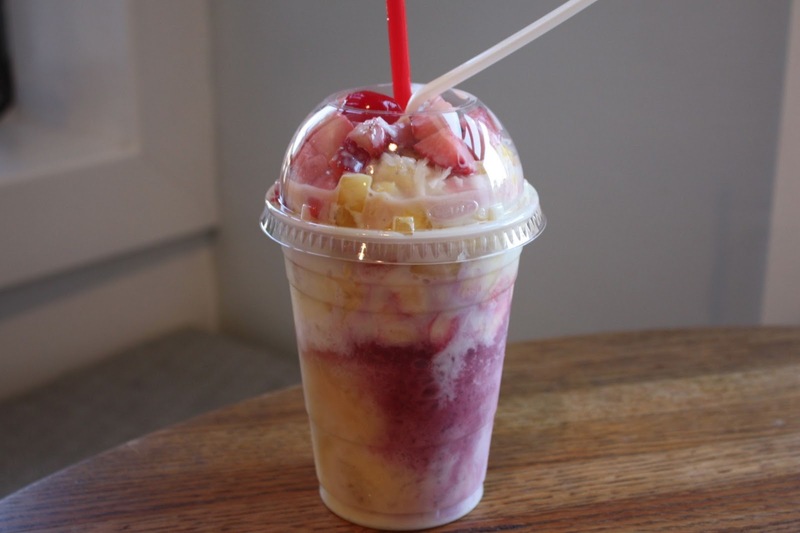 This cholado ($6) was huge, and generously topped with fruit: bananas, pineapple, strawberry, pineapple, coconut, a single cherry, and cantaloupe melon (the only weak link).